“AIR PRINCE” @airprince11 an Afro Pop Singer, Songwriter and Musician, to start there Music Career Professionally 2007. Air Prince Drops his 1st Debut Single “OLOLUFE” a Brand New Single is Produced By Award Winning Producer K-SOLO @obaksolo . “OLOLUFE” will Rock your Air Waves in no time and would be Lover Delight. 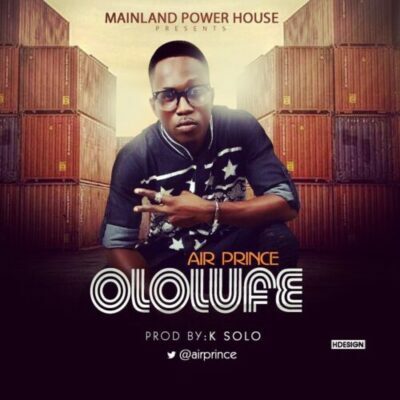 “AIR PRINCE” has delivered a superior offering, that doesn’t just stand above the rest of the competition, but will surely stand the test of time – listen and enjoy “OLOLUFE” below.